Firstly, I have something to say about these “free web site” companies. I don’t like them. Not just because they are competition taking local business overseas with inferior results – but because they are often misleading and not as easy as what they market themselves to be. This whole “free” thing is simply there to get you to invest time in learning and using their systems, and once you’ve invested (wasted) all your time setting up your (usually amateur looking even though they boast easy and professional) web site, you will find you then have to pay to get your own business domain name, email services and other features added. This almost always ends up costing more in the long run than if one had a site built and hosted it with a reputable local provider. I do understand why people use them = they have a low setup cost, if you don’t include the value of your time. Sure, you get a “site on the Internet” – though is that site going to actually increase your sales / lead enquiries? Are you wasting your time with them…? in most cases that I’ve seen the answer is “yes” to “probably”. Once your site is on one of their web based systems, there is no easy way to move your web site to a different provider, and from what I’ve experienced they use a few tricks to even sabotage you moving your domain and site elsewhere. In worst cases an improper setup of their systems has left clients without email and bad redirection loops that break the site all together. We have even seen cases where people calling themselves “web developers” are setting up their clients on these free site builder systems (most likely because they have no idea about web development, programming, SEO, domain DNS management, or digital and social marketing at all) and then locking these businesses to the paid service without the client understanding the full implications of using these (no longer) free web site builders. I’m not talking about Free Web Site Software such as WordPress / Joomla! / Drupal etc., but the web sites that offer you free site builders and free hosting services as the hook. These are sites that you go to, create a free account and start building your free web site with them. Most free website builder providers use proprietary software and/or are closed systems so there are fewer ways to customise and expand your site without paying more monthly fees. Many of these sites are not even search engine friendly and it can take a lot to get ranked in sites like Google. Cheap Web Development = Buyer Beware! Everyone want’s a bargain. Given today’s economy, more and more businesses want to get things done cheap. Looking around there are a veritable plethora of cheap web developers. Dime a dozen these days. Today there are more and more “Australian Fronts” where someone will start or profess to be a web development company with little or no knowledge of the industry, and then simply outsource everything to their white label partners overseas. Every once and awhile someone gets sold or hunts out and chooses a super cheap developer… signs up, hands over their money… and rolls the dice. Cheap developers are almost always cheap to win your money, not to help your business succeed. Keep in mind, when you hire an overseas developer you generally have NO RECOURSE TO THE LAW – so unless they have an Australian ABN that you have verified as being legit and you’ve done your homework with their clients – your chances of having a bad experience are unfortunately fairly high. money taken and the site appears completed – but basic functionality such as eCommerce shipping calculators disabled as they didn’t know how to work with the software. In more than one case the client had no idea their site was broken until we inspected the site informed them that it was “crippled / broken”. money taken and a web site that was functional, was worked on and subsequently broken by an inexperienced programmer, with no backups of the original working site taken before work commenced, losing valuable data and no way to revert back to the original working site. 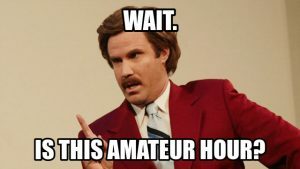 money taken and a theme based site created, insecure plugins used and the site was subsequently hacked = inexperienced “cheap WordPress developer” – this is the most common result of shoddy web development. Don’t trust anyone that you don’t know personally, haven’t been referred to you, is not based locally in Australia, or you haven’t checked their references and local projects. There are a lot of Cyber Criminals out there and most people wouldn’t have a clue and often blindly trust people. Here at Cyanweb we have seen many sites come to us from other developers and SEO providers that have been compromised or used for criminal purposes. Many of these sites were voluntarily given access to criminals by the unwitting business owners themselves. These security flawed sites and hacks are usually created by overseas developers picked up off popular classified sites, freelance bidding sites, microjob sites, were telemarketed or email spammed. Some sites we’ve inspected were created or compromised through an outsourcing web company that didn’t even know what their own contractors were doing! I’m not saying that all overseas developers are bad – though all it takes is one person who doesn’t care about you or your business with login access to open the door to major problems. Be extremely careful about who you give your logins and passwords to. If you don’t really know what you are in for, ask a trusted professional for advice. Once they have access to your site admin they can do anything they want – even long after you have changed all your passwords! Beware of anyone calling or emailing you saying they have discovered problems with your web site, or better yet: never ever respond to web service provider email spam or soliciting phone calls! If you want your site checked, find a reputable developer and have your site inspected. Most will offer this service for free or a very small fee for their time. we’ve seen a few eCommerce sites developed / accessed by overseas SEO or Web companies with scripts added that forwarded collected credit card details to 3rd parties or stored them in the site database for later collection. hidden “phishing” pages put onto the web site that the owner would never see – but are linked to from phishing scams trying to steal bank account logins or other account details. The reasons that criminals do these things are simple: money and more money. They make money from spamming, SEO linking, infecting users, selling site logins, stealing credit card details, identity theft, or simply going for a quick turnover on the black market. A hacked business site or user logins to an Australian based web site can go for upwards of $50 USD on the “dark web” (black market) and even more for eCommerce based sites. This way the criminal makes a quick sale of access to the site, and lessens their risk of getting caught. 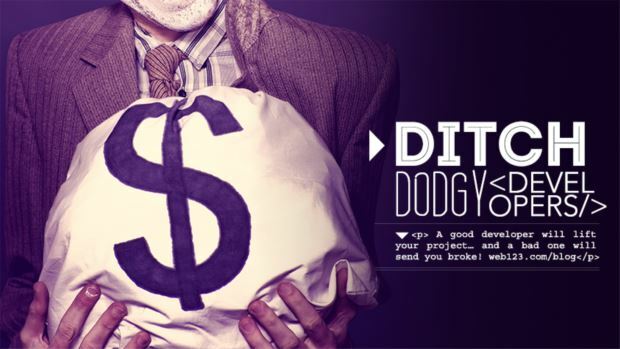 Not only can a dodgey web or SEO company make money up front for their “services”, they can make money later on by selling access or information they’ve collected. All that said, I will be writing soon another article on what to look for in a quality web developer and digital marketing provider.